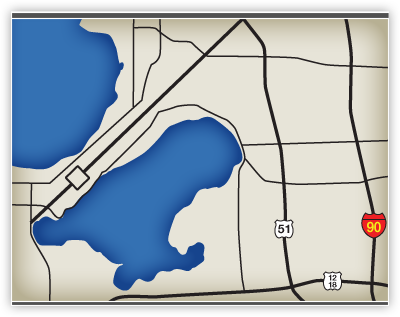 Aurora Pointe is an exciting new development just off Cottage Grove Road (Highway BB) in Madison WI. We are happy to open our doors to you and welcome you to your new home! Welcome to Ridge Creek Apartments! Ridge Creek is nestled away on a quiet cul-de-sac...you won't find a more peaceful and secluded location. We are on the bike path that leads to MATC and we also adjoin the Bridges Golf Course! Click any of the areas on the map to see what's available! East Side, East Washington Ave.
East Side, Cottage Grove Rd.